Thursday, March 15th begins the annual CRP Primary Nesting Season (PNS) for the wildlife. The end of the PNS is July 15th, for the next four months there can be no activity, including contract management on established permanent grass stands. This is the time of year, producers need to have their fences in working order, as it is the CRP producer's responsibility to fence the cattle out of the CRP. Violations during the PNS can result in County Committee determination of non-compliance; which normally means money will be involved. Producers may face a standard payment reduction or termination of the contract with refunds required. BIG changes this week on the Drought Monitor. To the left is the BIG picture which includes the states of Colorado, New Mexico, Kansas and parts of Oklahoma. This map shows in red where the D3 - extreme drought designations are and there is actually D4 -exceptional (dark red) drought designation on the Oklahoma, Kansas border. 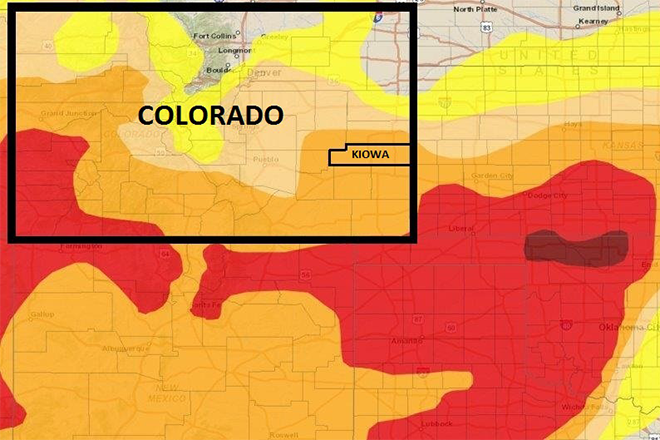 Kiowa County moved into a D2 - severe drought designation. The majority of counties in SE Colorado are designated D2 category. There is now a slight portion of Baca County with a D3 designation. I wanted to show the readers that it is dry south of Kiowa County and those areas are suffering from drought conditions. We could sure use some moisture. For more information about this week's changes in drought conditions, see this article. 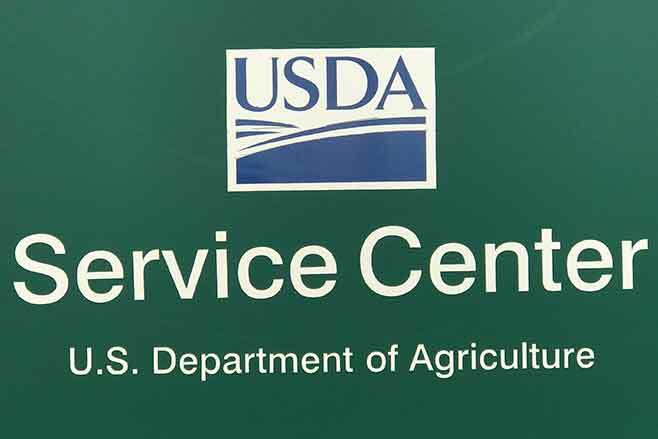 Kiowa County isn't currently eligible for any Livestock Assistance Programs; however with the dry conditions and the long range forecast not looking favorable for moisture; it is possible that during the growing season the county could trigger for (LFP) Livestock Forage Program. I want to urge ranchers to get their paperwork together on their livestock herds. If the county does become eligible for LFP, the application process will require producers to have documentation for the head of cattle or any type of eligible livestock currently on hand; any that were sold due to drought conditions and receipts for any cattle purchases. Tax returns are also a good source. There is no time like the present to get that information together before some of you get busy with farming activities.